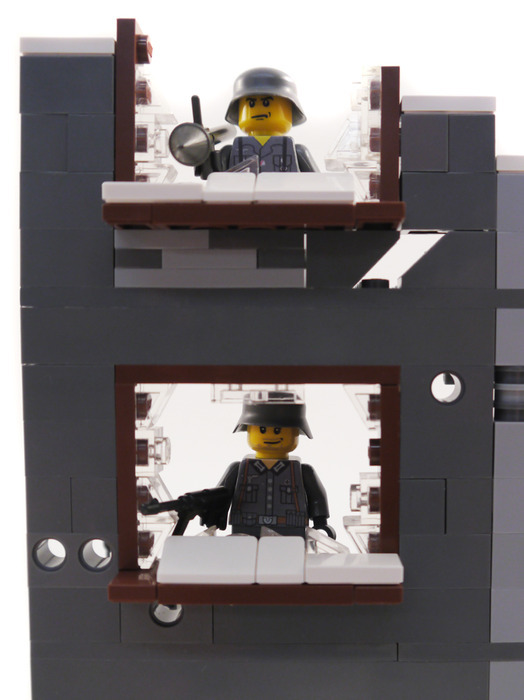 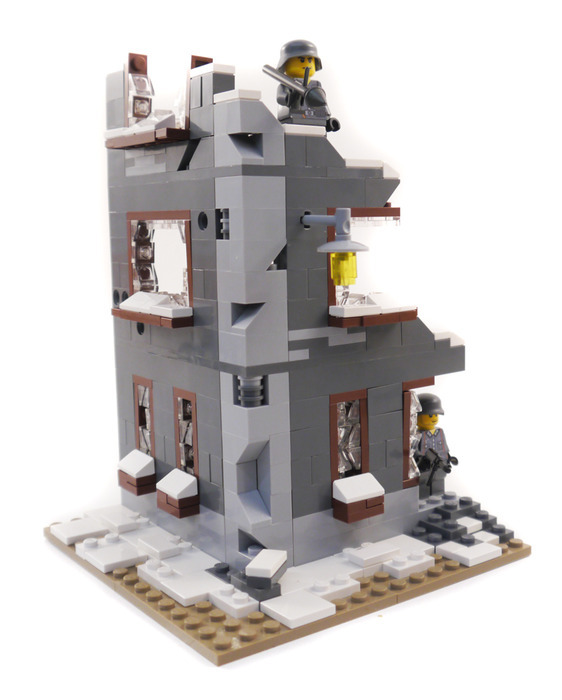 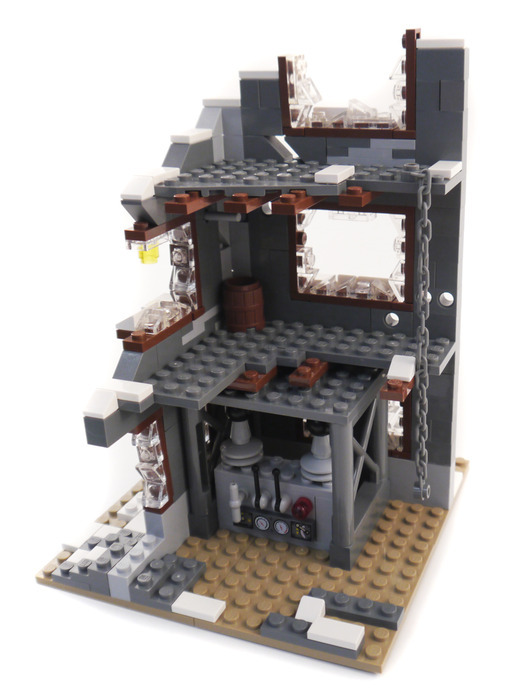 This winter time bombed out building would look great with your WWII minifigs and vehicles. 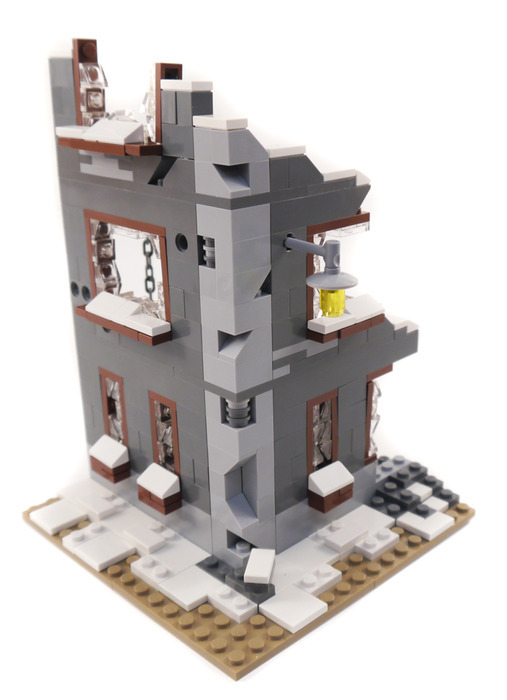 It's a perfect match with WW003 Ruined House and WW004 Ruined Barn. 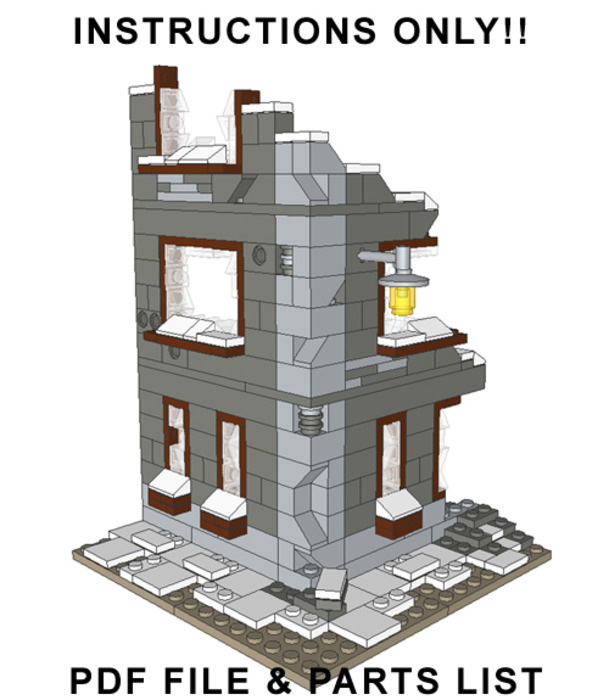 Build all 3 to get your war-torn town started.